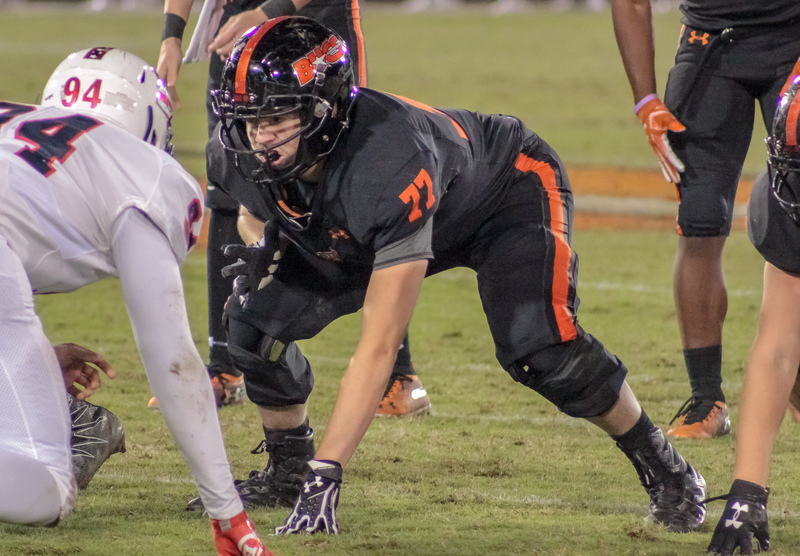 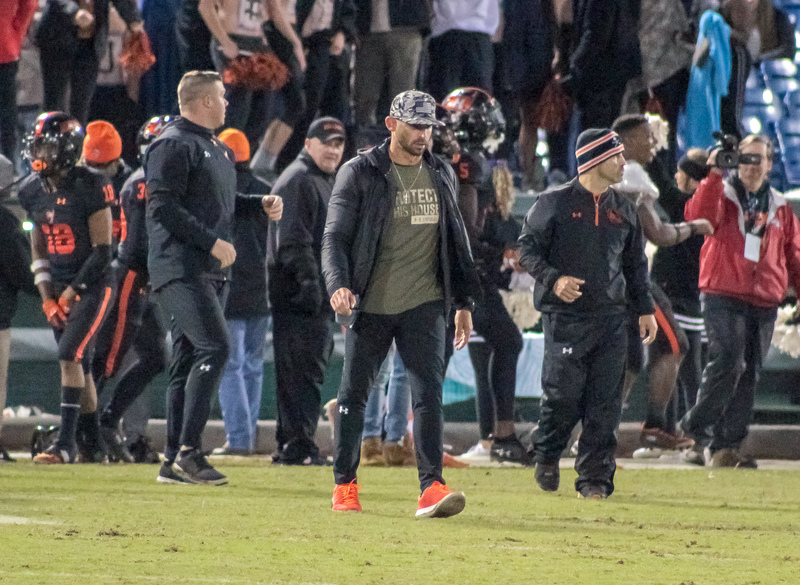 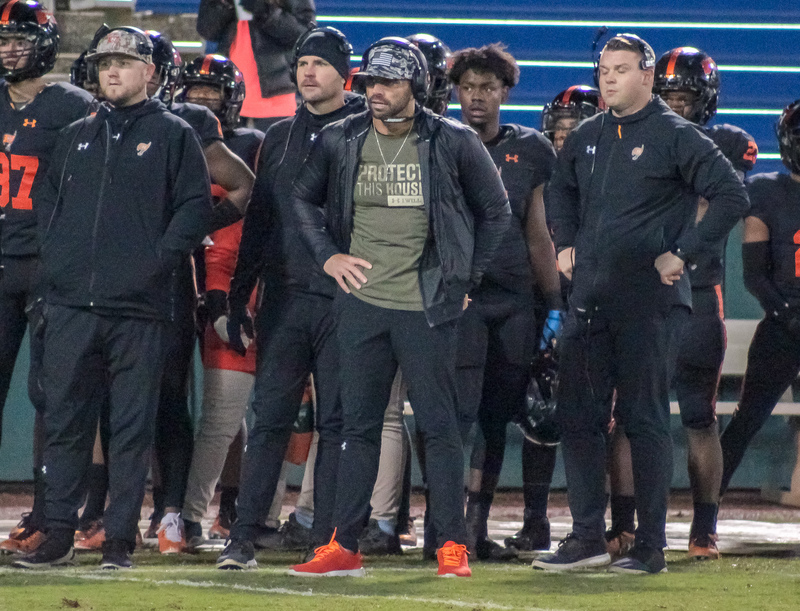 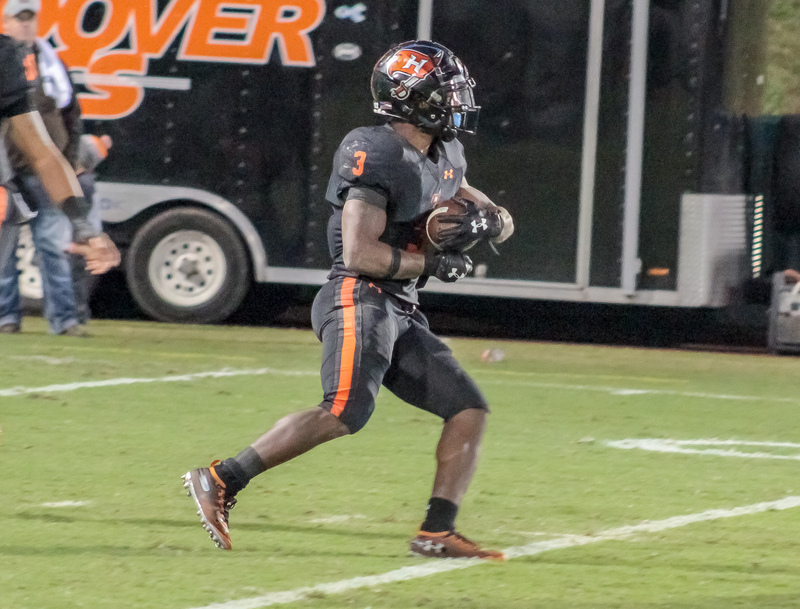 Hoover, AL – Hoover (8-3, 6-1) survived a scare from Bob Jones (6-5, 3-4) Friday night to advance to the second round of the AHSAA 7A postseason. 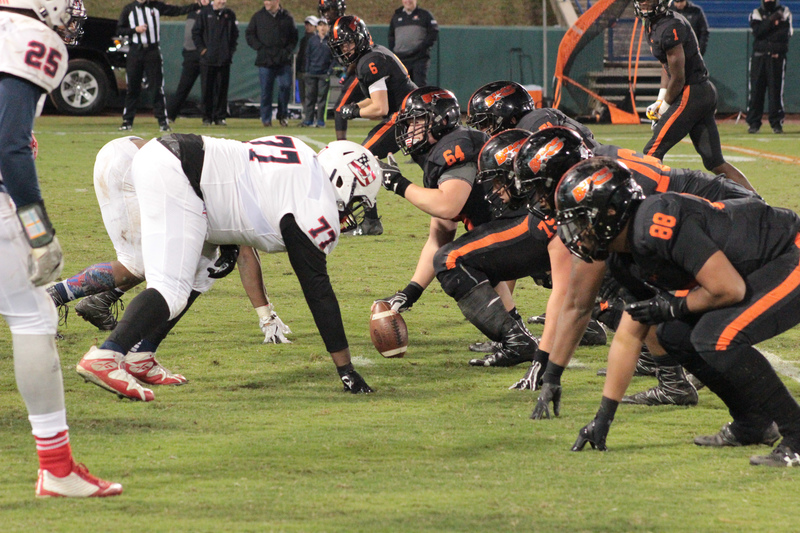 The Bucs came back from a 10-6 first half deficit to take down the Patriots 26-18. 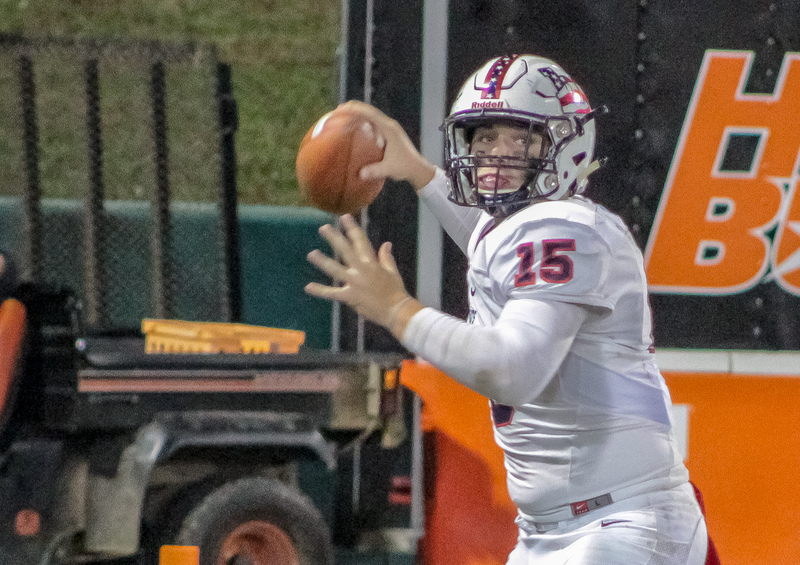 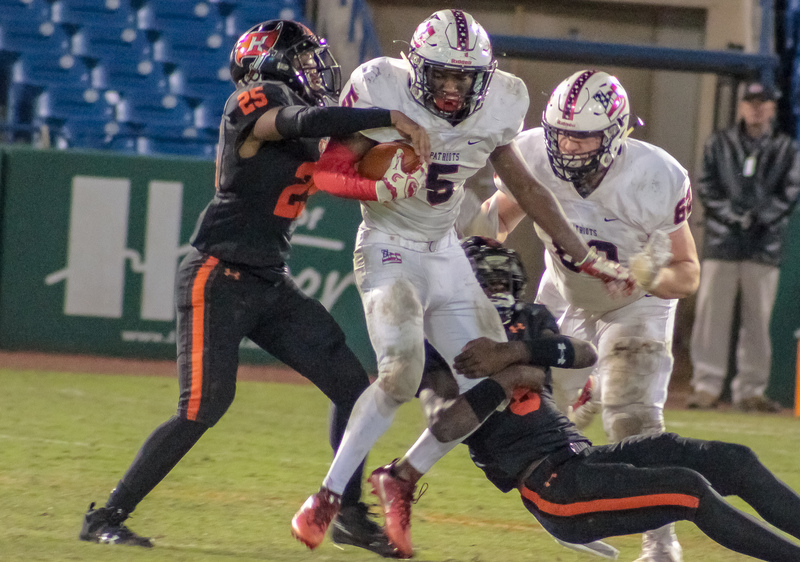 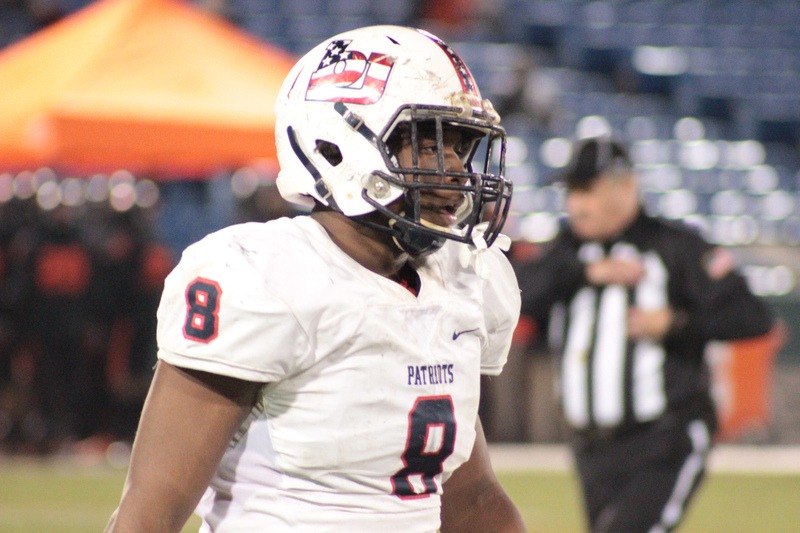 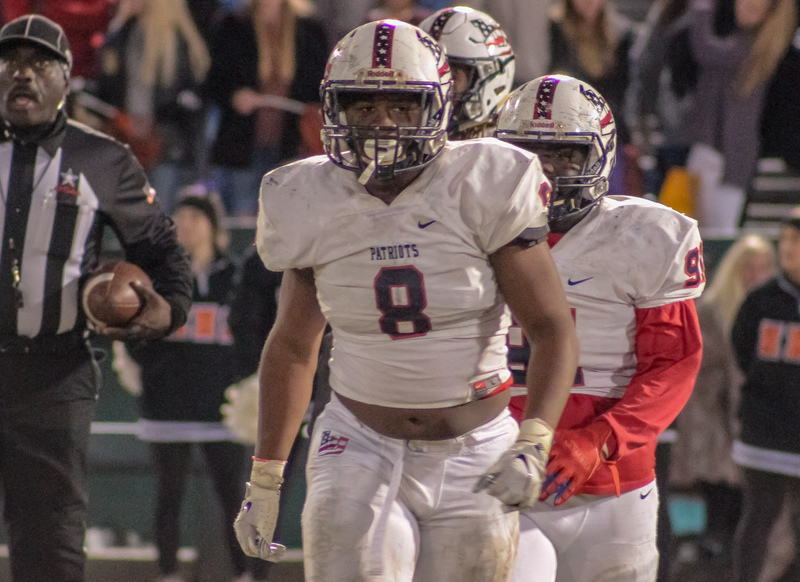 Bob Jones held the Bucs in-check through two quarters despite not having the services of starting quarterback Caden Rose and University of Florida commit Jaydon Hill. 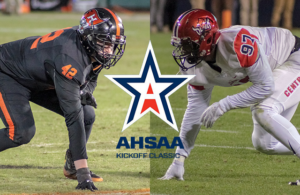 Both were sidelined with injuries coming in the contest at the Hoover Met. 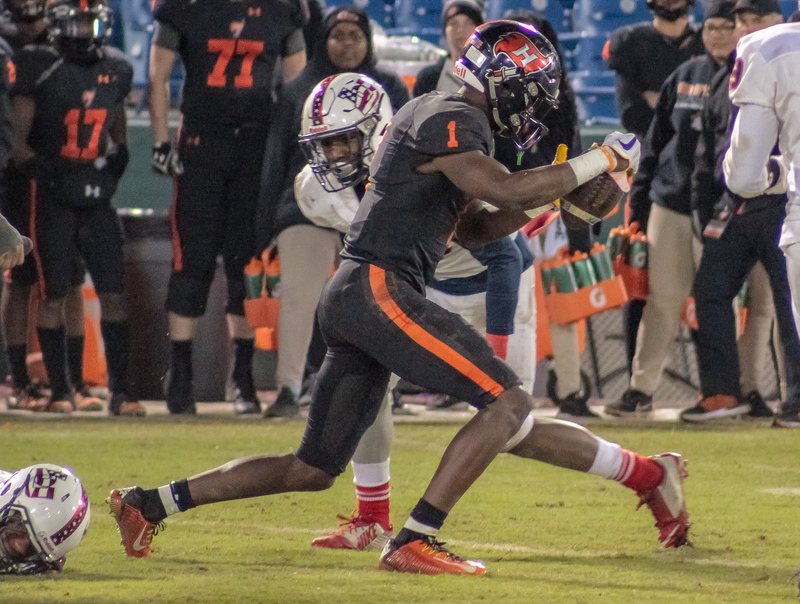 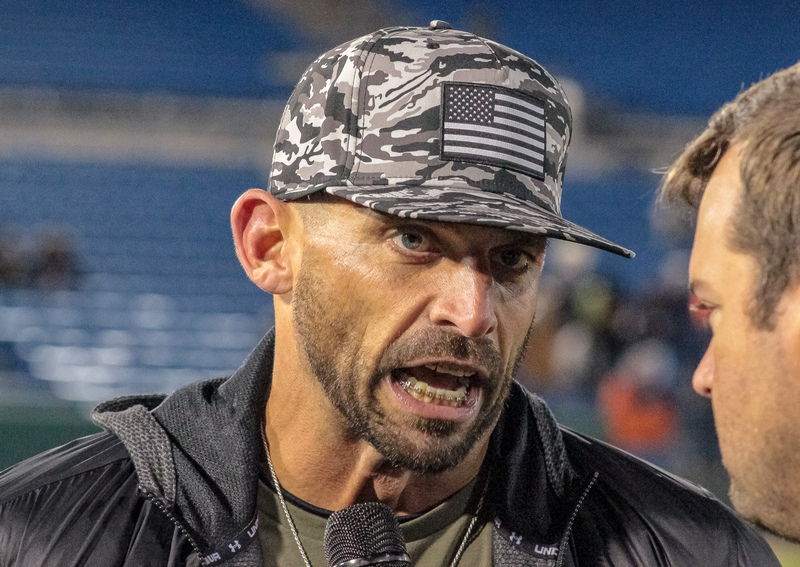 Josh Niblett’s Bucs fell behind early as the Patriots recovered an opening game onside kick, resulting in an opening drive touchdown. 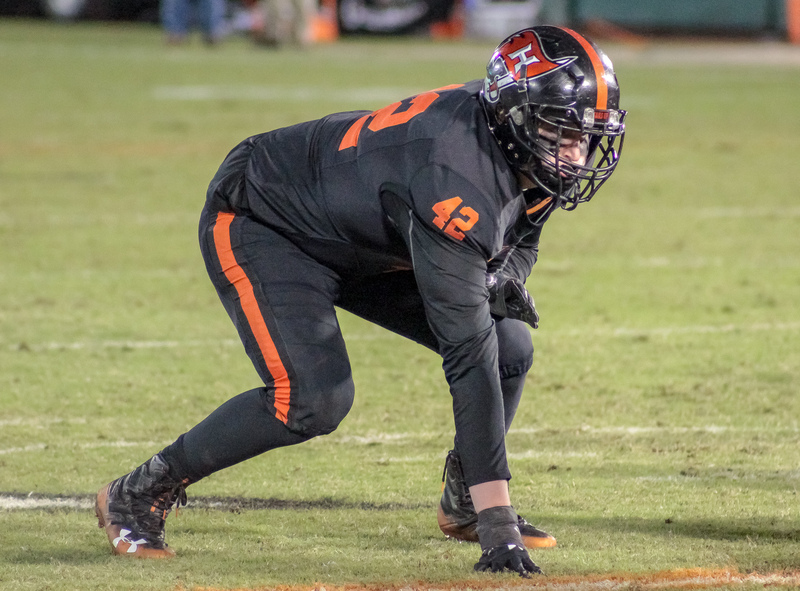 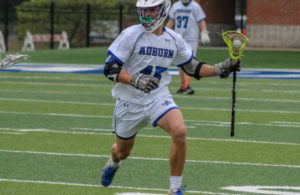 The defending champion Bucs managed only a pair of first have field goals courtesy of Alabama commit Will Reichard and trailed by four going into the break. 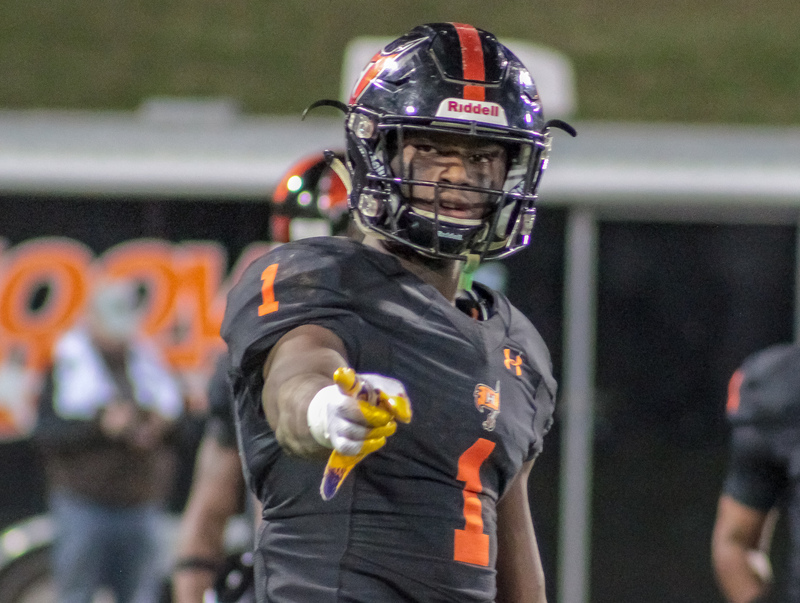 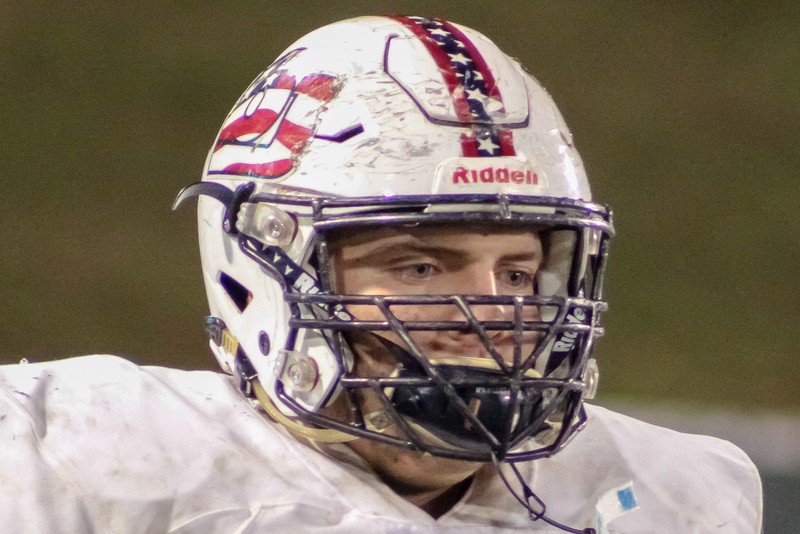 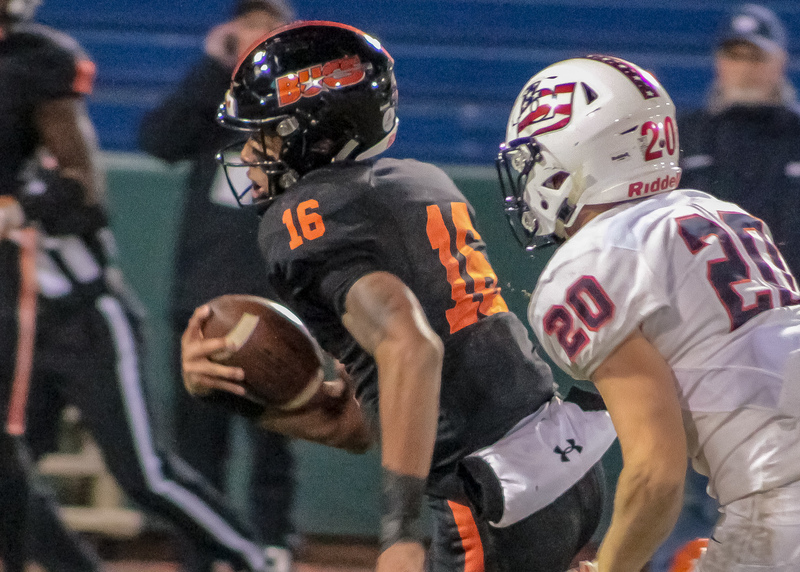 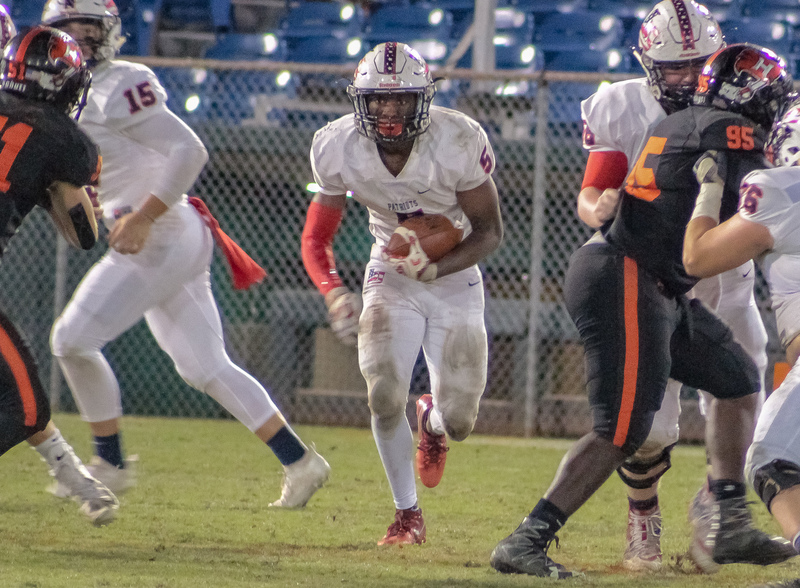 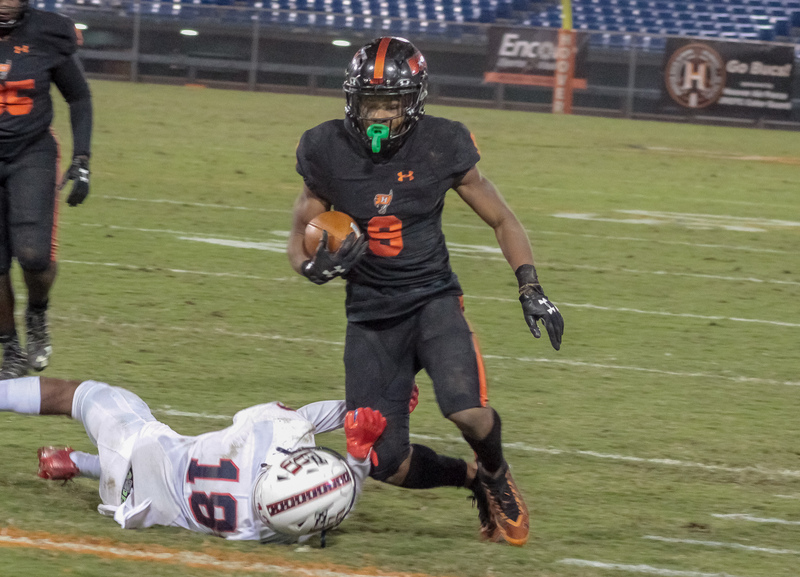 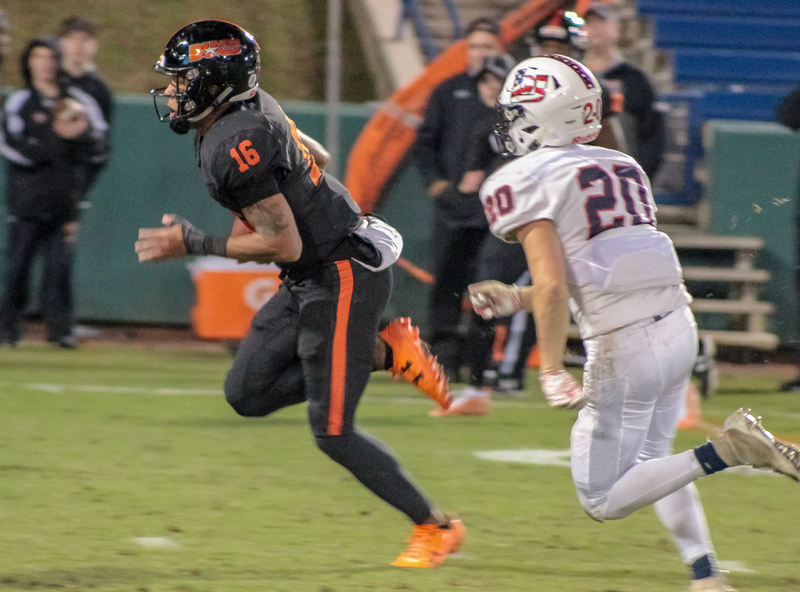 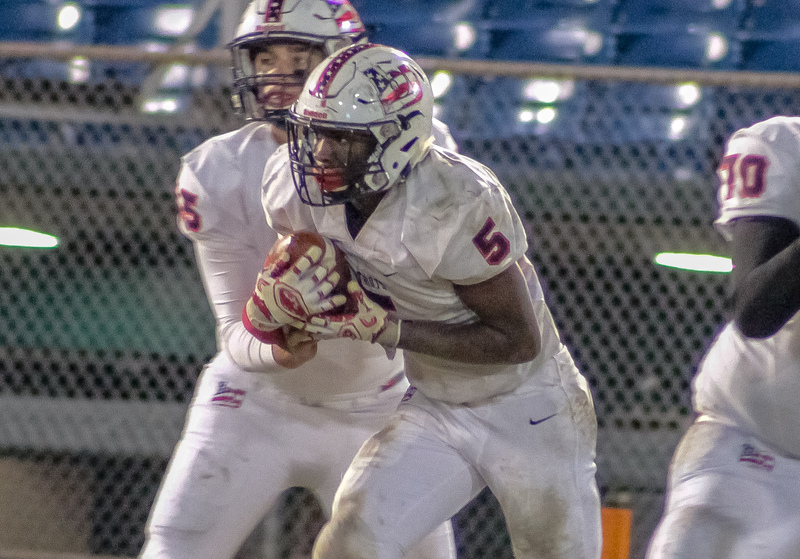 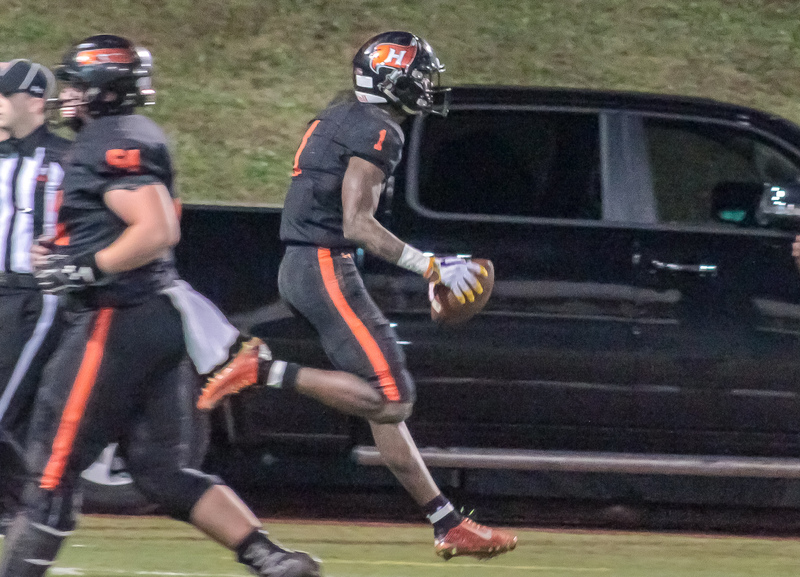 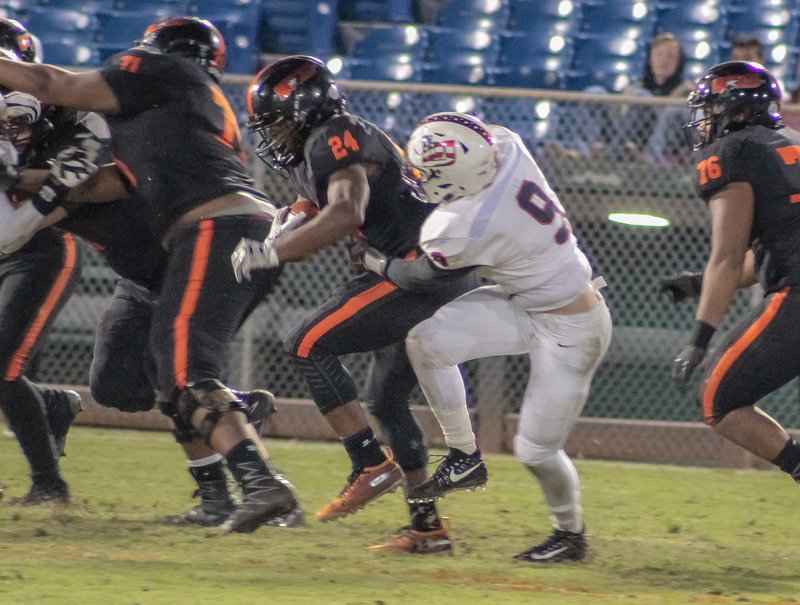 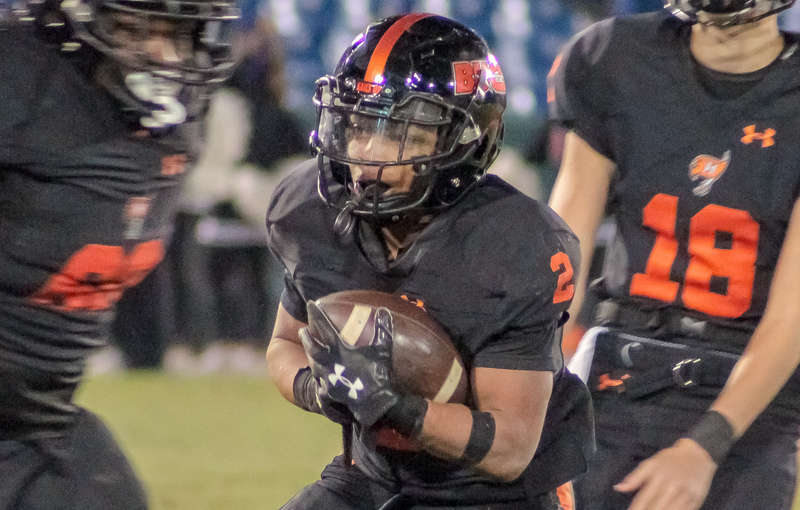 The Buccaneer offense came to life in the second half as senior running back Larry McCammon capped a Hoover drive scoring from inside the Patriot five giving the Bucs their first lead of the contest. 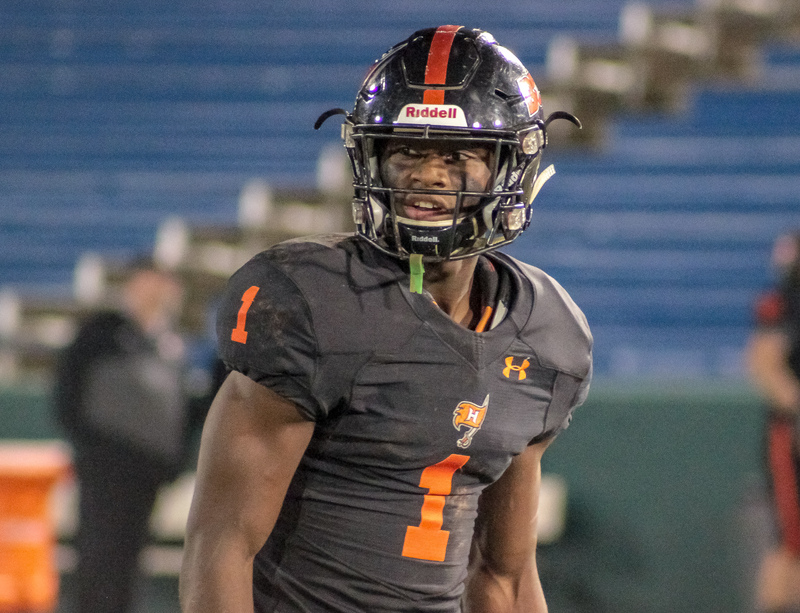 Auburn commit George Pickens extended the Hoover lead later in the third pulling down a Robby Ashford pass from 16 yards out. 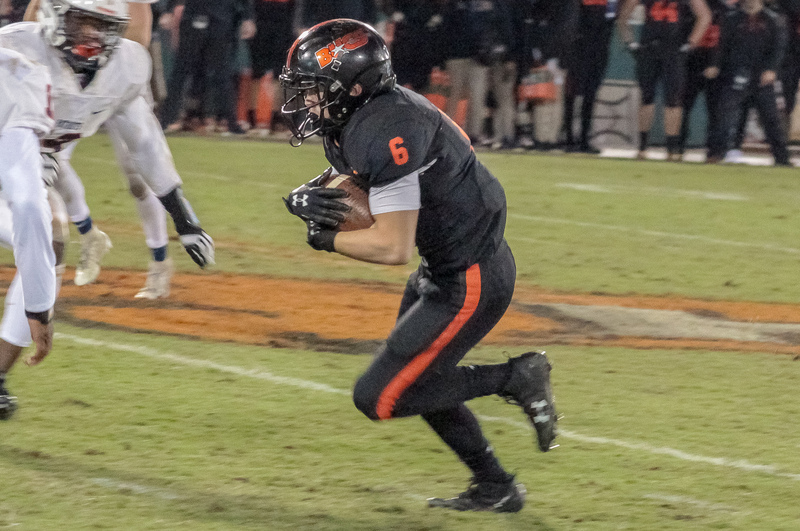 Dylan Pauly added the Bucs final score bolting in from just inside the 10. 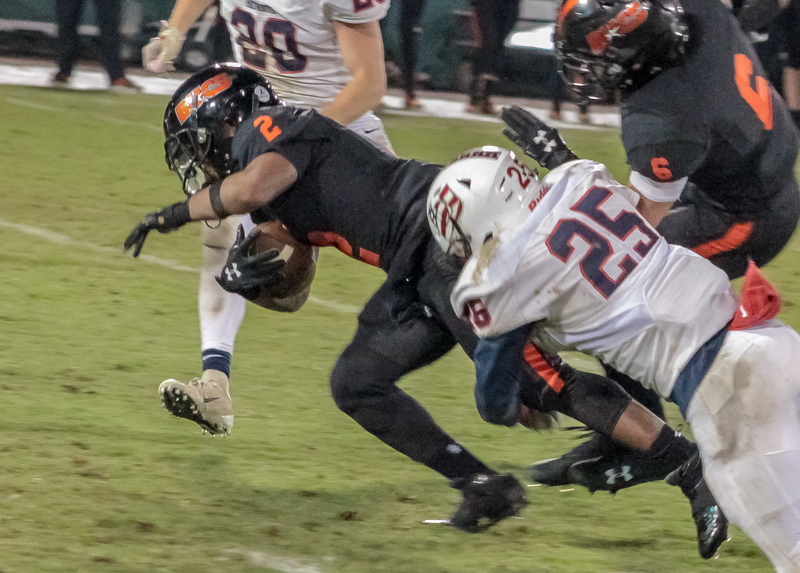 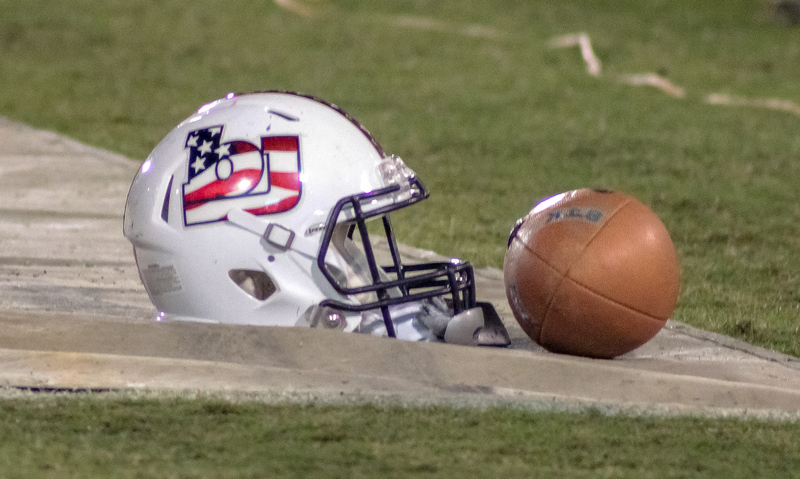 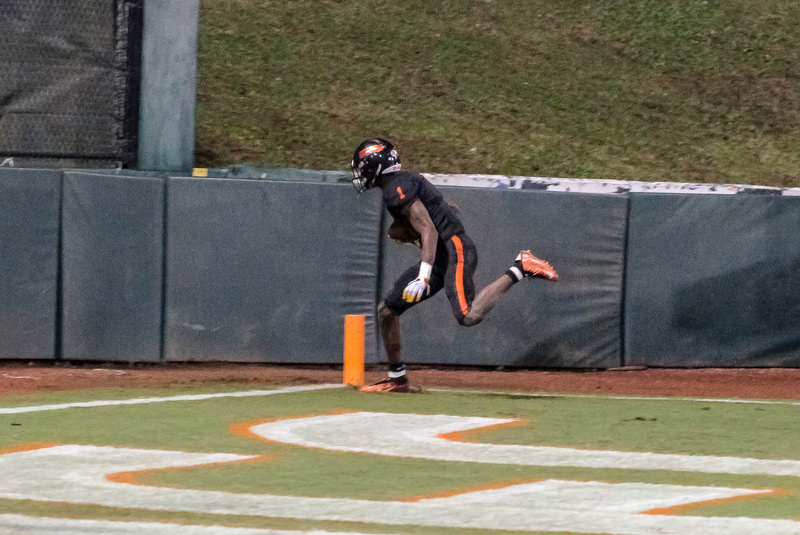 After giving up three unanswered touchdowns, Bob Jones threatened again with just over a minute to play as Kalil Griffin scooped up a Hoover fumble returning it 62 yards in to the endzone and pulling the visitors within a score. 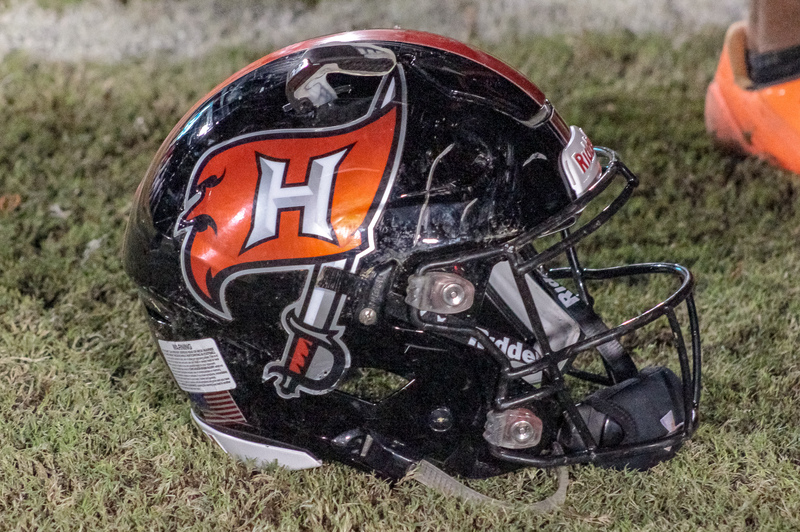 The Bucs finally put an end to the Patriots charge covering an onside kick attempt deep in Hoover territory. 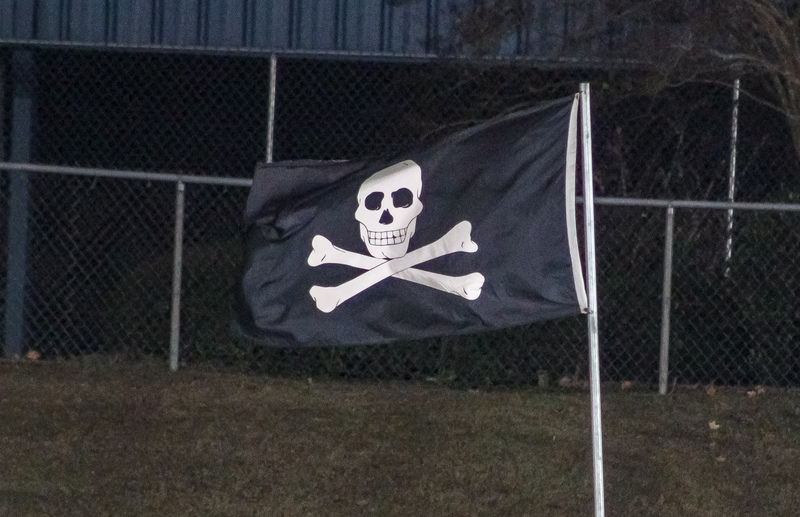 In a game that saw yellow flags being thrown more than pass attempts, the Bucs were penalized 15 times for 190 yards while the Patriots were flagged 12 times for 116. 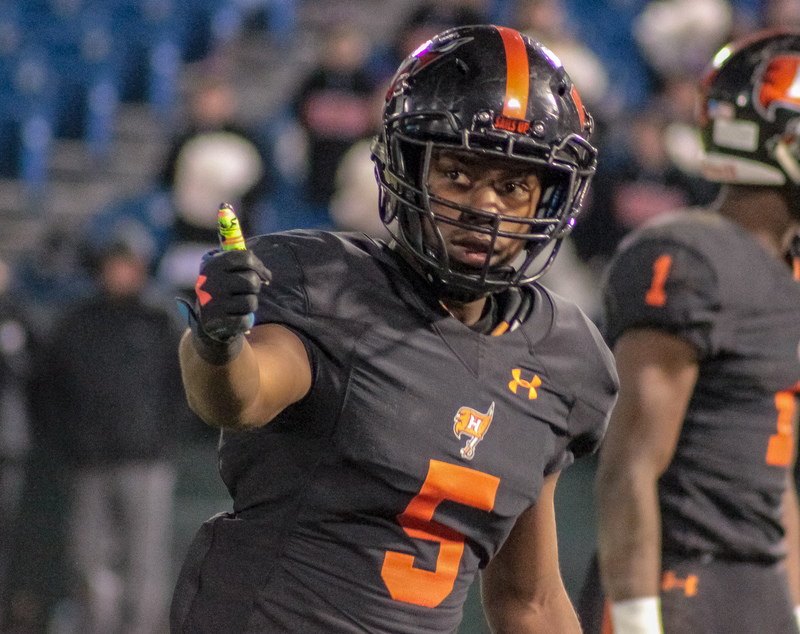 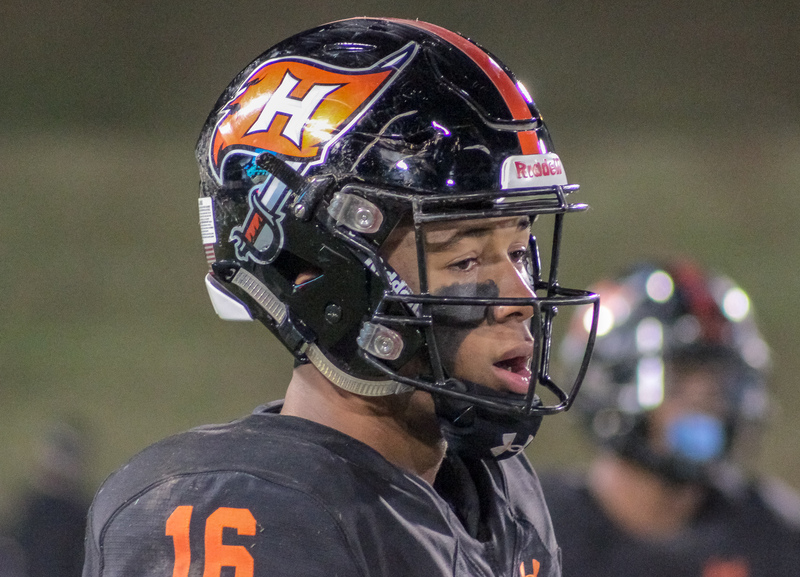 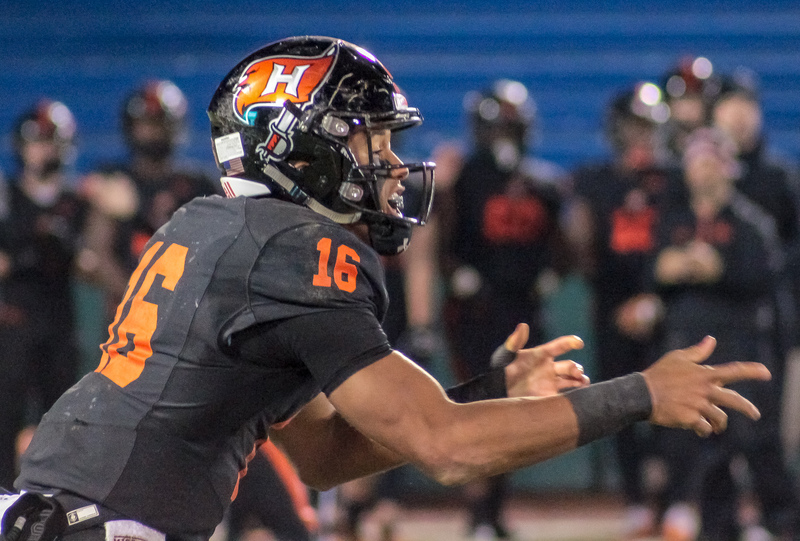 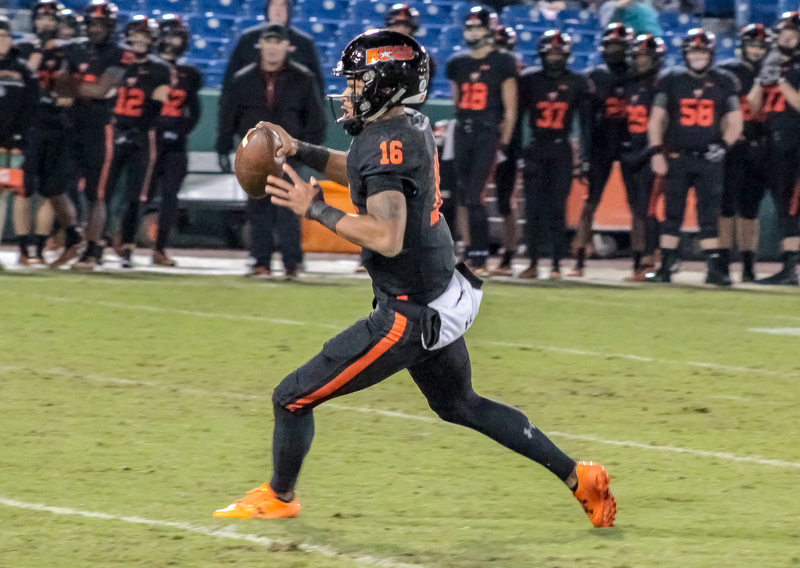 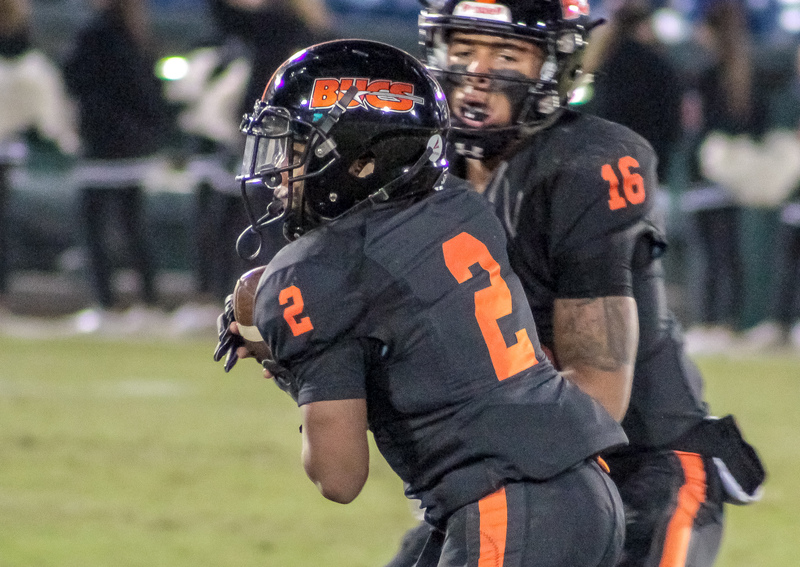 Hoover signal caller Robby Ashford completed 12 of 19 passes for 150 yards and a score while standout receiver George Pickens haled in 6 passes for 79 yards and a TD. 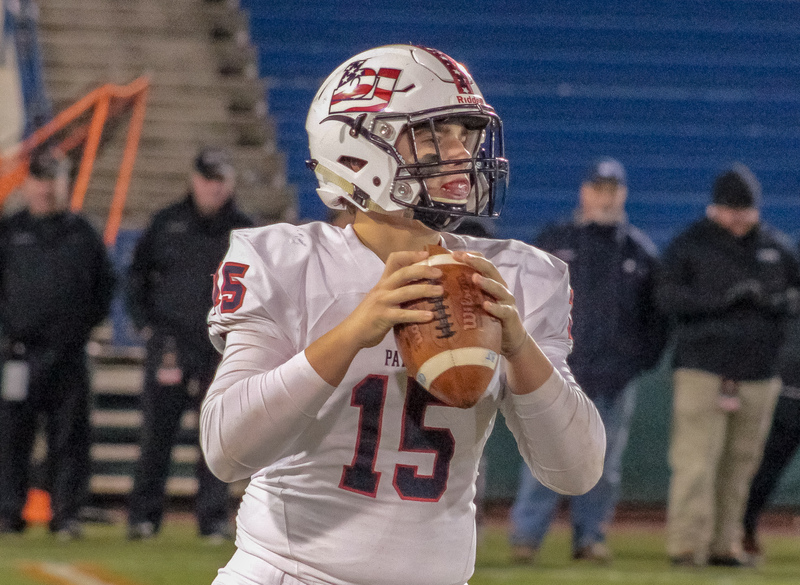 Bob Jones quarterback Slate Alford, an Auburn baseball commit, went 8 for 15 on the night for 140 yards and tossed a pair of interceptions. 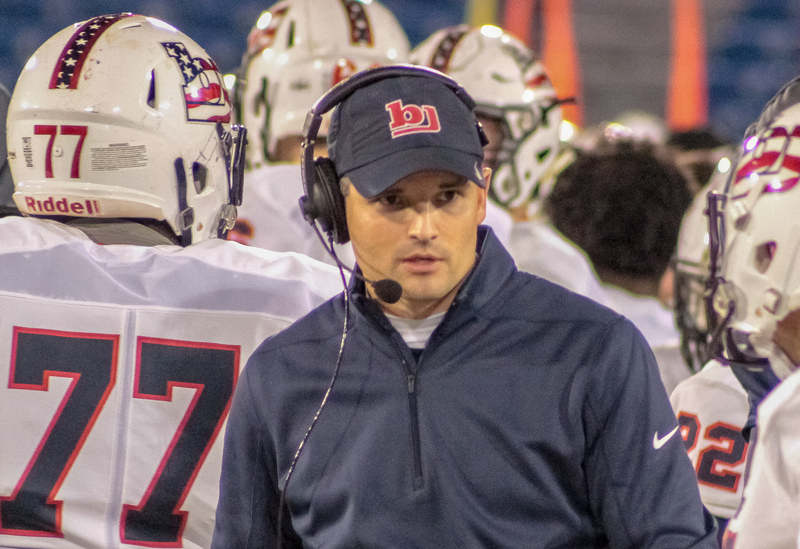 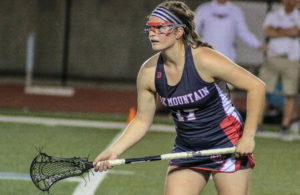 Bob Jones finished the season at 6-5, coming in fourth in 7A region 4 notching wins over rivals Huntsville and Sparkman. 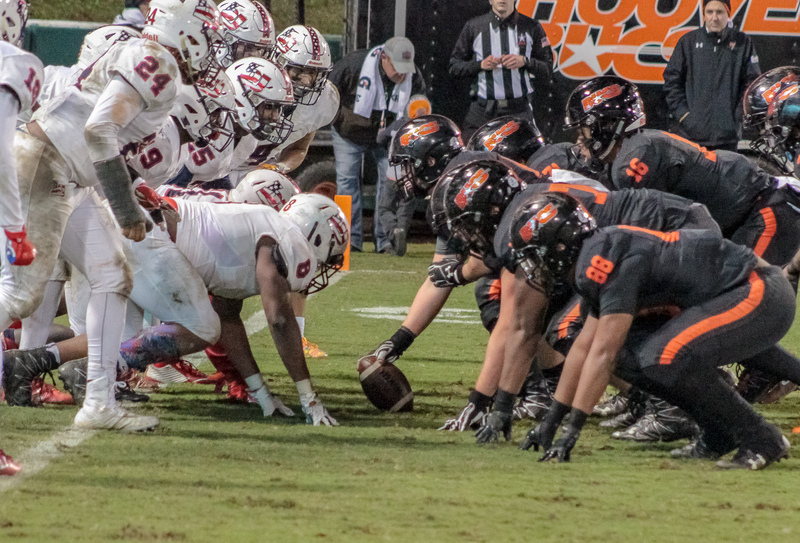 Hoover will face Mountain Brook (9-2, 5-2) Friday night at The Met for the right to advance to the 7A semifinals. 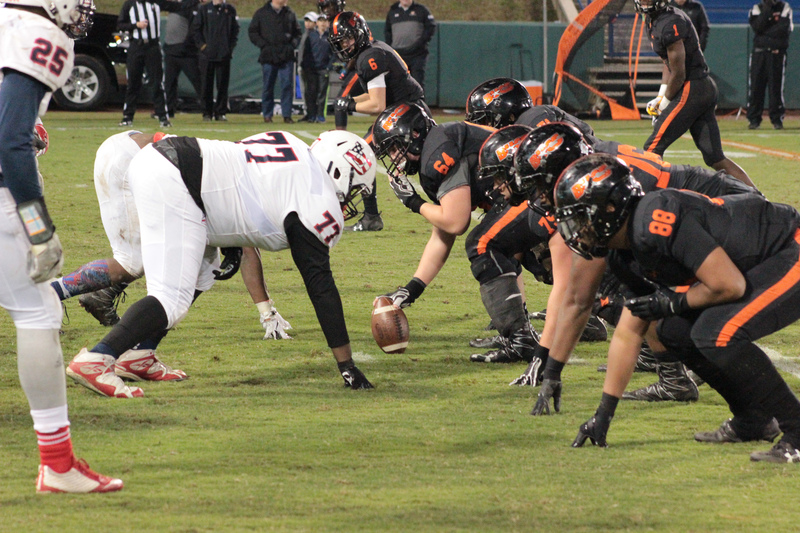 The Bucs defeated the Spartans 31-7 in the team’s last meeting two weeks ago.